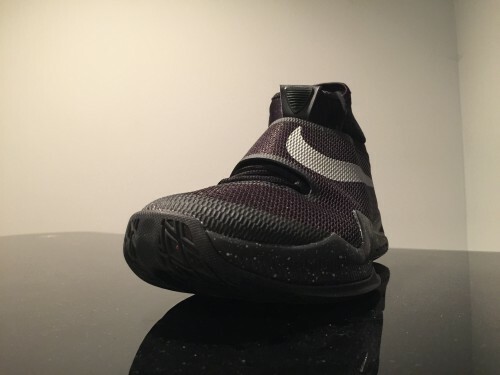 After two league games, some pickup and a couple shooting sessions, I thought it was time for some initial thoughts on the Nike HyperRev 2016. Look for the full review early next week after I get another league game in, and check out this review over at tackl.com as well. There’s a lot to go into from a fitment perspective, but I’ll save most of it for the full review. I will say this: it is extremely hard to get on your foot. 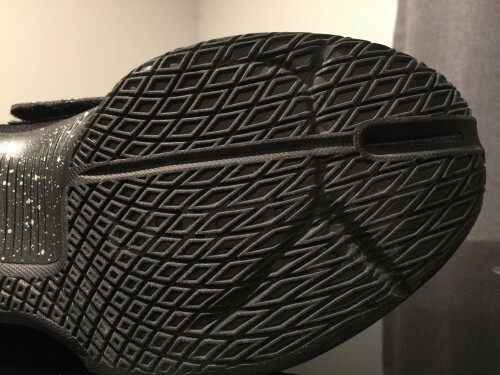 There’s no heel pull tab and you basically have to smash the back of the shoe all the way down and torque on the front pull tab to get it on. It’s not a deal breaker by any means, just annoying. I do think it could deter some parents/younger hoopers who aren’t expecting it in-store. I’m also very pleased they did away with Flywire for the lacing system. The 2014 and 2015 models relied heavily on that tech, and it just doesn’t provide sufficient lockdown on its own. More traditional strap eyelets get the job done. The full neoprene base gives you a comfortable sock-like feel and with the Fuse overlay and strap, provides good containment, although I’ve had some slippage in extreme cases i.e. on a step back at full speed in transition (probably not the best shot selection anyway). Much more to come in the full review early next week. 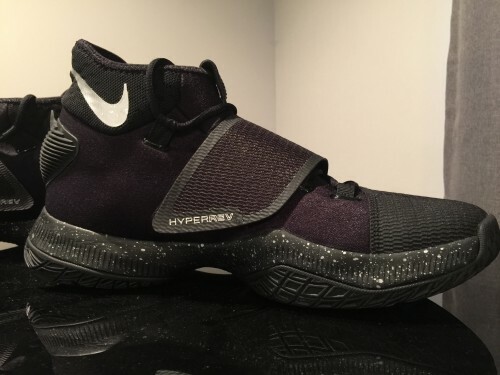 Transition has always been a strong point of the HyperRev line and it’s very good once again. Flexibility, adequate support and full volume Zoom bags, along with a unique pseudo split toe make for a smooth heel-toe strike. 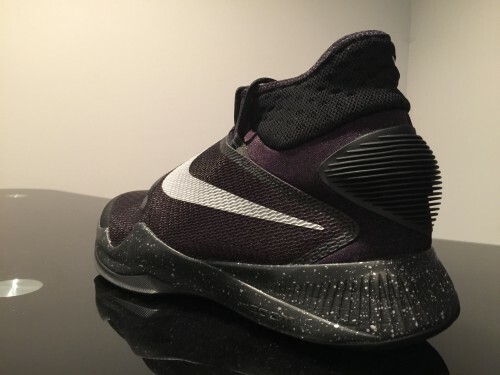 I mentioned it on Twitter yesterday – if they can put this kind of cushioning/midsole setup into a $110 package, it’s embarrassing what they put into shoes at price points that are 30% higher. The Zoom is plush and responsive, and feels like it’s articulated at the forefoot. Some of the best cushioning in a Nike silo in a looooong time. The KD 7 and 8 were good and the ’15 Rev was solid too, but this is a dream cushioning setup. Court feel and responsiveness are predictably very good. 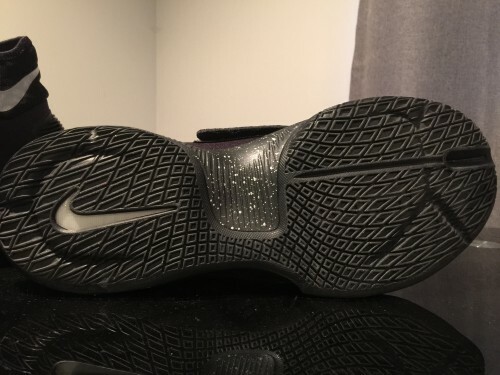 The diamond pattern on the outsole is a bit reminiscent of what was used on the AJ 2012 (yes I bought those that no one liked, in the orange Jordan Brand Classic colorway with the triple stacked box, two booties and three insoles). It’s solid, but could perhaps benefit from slightly deeper grooves. No issues so far. 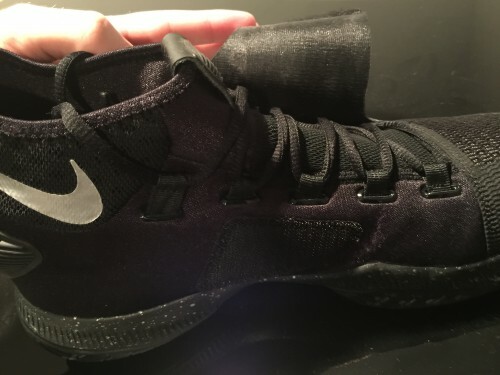 I could see the big rubber piece at the heel possibly peeling away from the neoprene – because it takes a lot of abuse when putting the shoe one – but no signs of that yet. The full review will be posted soon at TGRR and tackl.com.